Very easy to purchase and activate at Kansai International. The office was right outside of the customs area. Added more yen at the train station machine near the JR office and used it immediately. Visit any modern city these days and chances are there will be a local travel card making transportation, shopping and more even easier. It's the Octopus Card in Hong Kong, Easy Card in Taiwan, Suica Card in Tokyo, and for the Kansai region it's the ICOCA Card. A play on the phrase 'Iko ka' (行こか) meaning 'Shall we go?' in the local dialect, the card covers the major cities of the Kansai region including Osaka, Kyoto and Kobe. With one swipe of the contactless card, you can seamlessly hop aboard metros, buses, trains or even pay for your shopping. 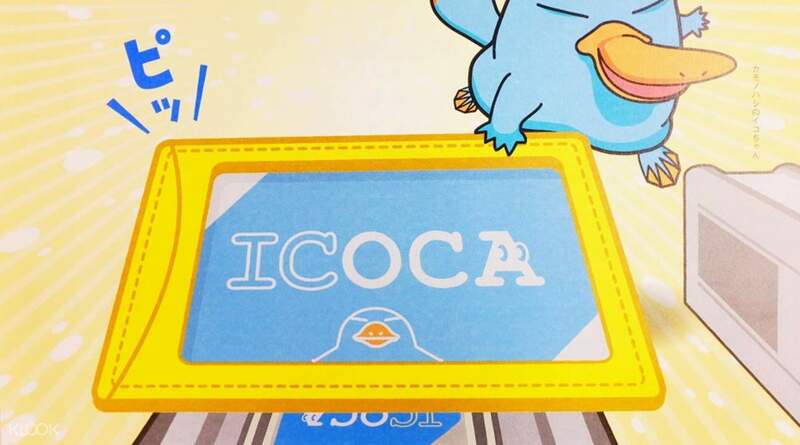 The ICOCA IC Card is handily preloaded with 1,500 yen credit, plus the 500 yen deposit so it's ready to use as soon as you pick it up. 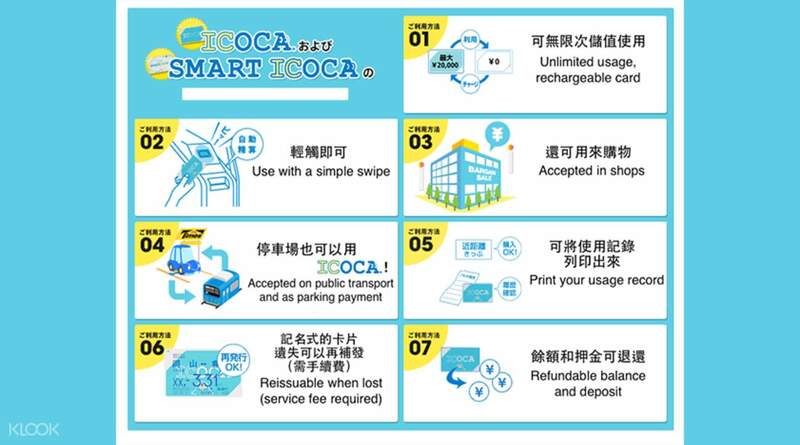 using icoca card is very much convenient like the bataitong in hong Kong, transportation card in shanghai, youyou card in Taipei, etc. you can reload the money into it at any convenient stores in japan eg.7-eleven, family mart, etc. you can use it to pay for the subway in Osaka and metro to Kyoto and cities nearby. using icoca card is very much convenient like the bataitong in hong Kong, transportation card in shanghai, youyou card in Taipei, etc. you can reload the money into it at any convenient stores in japan eg.7-eleven, family mart, etc. you can use it to pay for the subway in Osaka and metro to Kyoto and cities nearby. I never thought that using ICOCA was this easy. I do recommend this for my fellow traveler like me. It can easily used anywhere and be topped up anywhere as well. I have used this in Osaka and in Tokyo. Very useful. I might even use this in my upcoming Nagoya Trip as well. I never thought that using ICOCA was this easy. I do recommend this for my fellow traveler like me. It can easily used anywhere and be topped up anywhere as well. I have used this in Osaka and in Tokyo. Very useful. I might even use this in my upcoming Nagoya Trip as well. Very accessible to use, purchasing train tickets made easy just tap your card at the entrance of the station! Also, you can use it by purchasing, for example, in 711 stores. You can also reload it almost everywhere (convenience stores). Very accessible to use, purchasing train tickets made easy just tap your card at the entrance of the station! Also, you can use it by purchasing, for example, in 711 stores. You can also reload it almost everywhere (convenience stores). Easy to redeem at the airport counter per instruction provided. It would be better if child pass is provided but apparently child concession pass can only be bought at the main train stations customer service counter with passport. Easy to redeem at the airport counter per instruction provided. It would be better if child pass is provided but apparently child concession pass can only be bought at the main train stations customer service counter with passport. There are plenty of transportation cards to choose from for an Osaka trip but we opted for this one since stored value cards are much more flexible. But be reminded that the minimum amount that you can add each time is 1000 JPY. The easiest place to load it are at any 7-11 that has the machine, as we found the machines at the train stations confusing. The ICOCA card was the only card we purchased and we were still able to go to Nara and Kyoto and see all the tourist spots. We also used the card to buy food and drinks. If you're keeping the card as a souvenir, try to use the remaining balance to buy some food for your plane ride home. But then again, you can still use it when you return to Osaka. There are plenty of transportation cards to choose from for an Osaka trip but we opted for this one since stored value cards are much more flexible. But be reminded that the minimum amount that you can add each time is 1000 JPY. The easiest place to load it are at any 7-11 that has the machine, as we found the machines at the train stations confusing. The ICOCA card was the only card we purchased and we were still able to go to Nara and Kyoto and see all the tourist spots. We also used the card to buy food and drinks. If you're keeping the card as a souvenir, try to use the remaining balance to buy some food for your plane ride home. But then again, you can still use it when you return to Osaka. We picked up our ICOCA IC Card at Easy Go located at Kansai International Airport. We love our ICOCA IC Card. It made our trip hustle free and super smooth. And it was easy for us to recharge it again with money because every train station has an balance recharging machine. But our problem are the insane train transfer to another. They’re so confusing most of the time...LOL!!! We picked up our ICOCA IC Card at Easy Go located at Kansai International Airport. We love our ICOCA IC Card. It made our trip hustle free and super smooth. And it was easy for us to recharge it again with money because every train station has an balance recharging machine. But our problem are the insane train transfer to another. They’re so confusing most of the time...LOL!!! 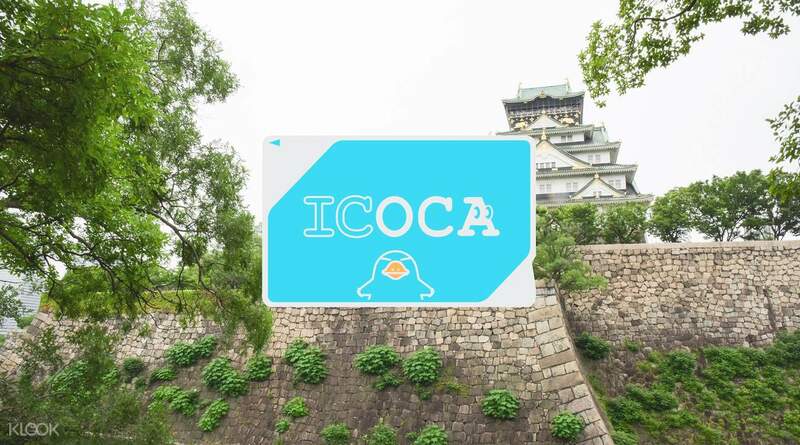 It is so convenient when you travel outside Osaka with this ICOCA card. Already has 500 yen inside the card. Just top up when the credit not enogh. You can get back your deposit at airport when you surrender it out. It is so convenient when you travel outside Osaka with this ICOCA card. Already has 500 yen inside the card. Just top up when the credit not enogh. You can get back your deposit at airport when you surrender it out. The ICOCA saves us a lot of time! it is very helpful since all we have to do is to tap the card. The load given is enough if you will just roam around Osaka. In our case we had to reload at least 2.5k yen more since we opted to go to Kyoto but nonetheless, it is very useful! The ICOCA saves us a lot of time! it is very helpful since all we have to do is to tap the card. 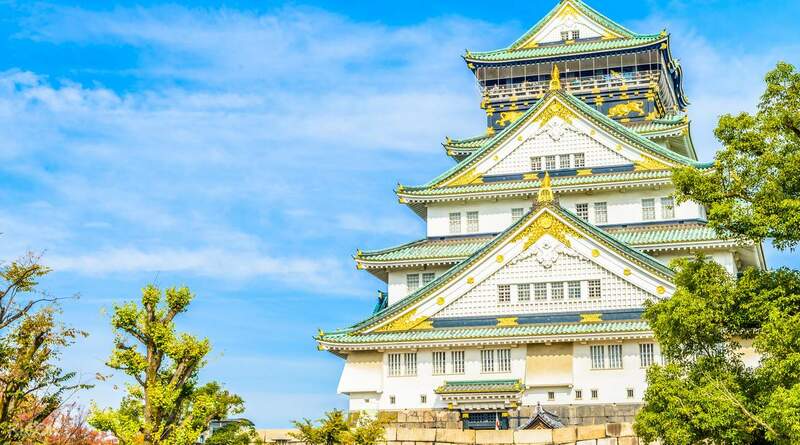 The load given is enough if you will just roam around Osaka. In our case we had to reload at least 2.5k yen more since we opted to go to Kyoto but nonetheless, it is very useful! This is definitely highly recommended when travelling around Osaka area. Redemption in Kansai Airport is very fuss-free. It is suggested to carefully plan your itinerary in order to maximize this pass. This is a must! This is definitely highly recommended when travelling around Osaka area. Redemption in Kansai Airport is very fuss-free. It is suggested to carefully plan your itinerary in order to maximize this pass. This is a must!